to upgrade 41 junior and senior high schools. 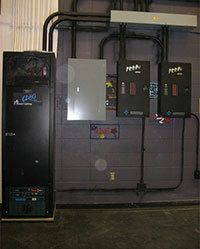 The Calgary Board of Education (CBE) was experiencing a lack of direction and advice on how to deal with the drama and stage lighting systems," explains Christopher Sprague, Theatre Consultant with Ability Technical Services Inc. "Standardization, dependability, ease of operation and cost-effectiveness were my primary goals. 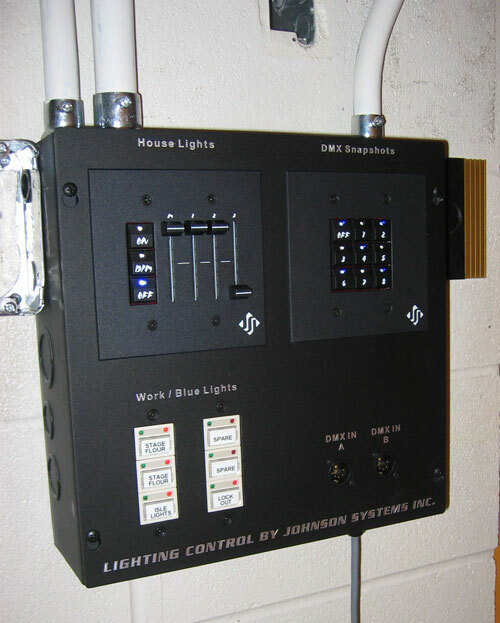 Years of various lighting dealers with ideas of selling what they knew or could source resulted in many systems of various quality and a most unserviceable situation. We saved the Calgary Board of Education in excess of $50,000.00 per school by retrofitting the existing racks rather than sending them to the landfill. There was no need for such waste! The CD-2000 provides all the latest necessary features of a new dimmer rack without the need for replacing perfectly good dimmer components and with minimal electrical contracting costs", stated Sprague. 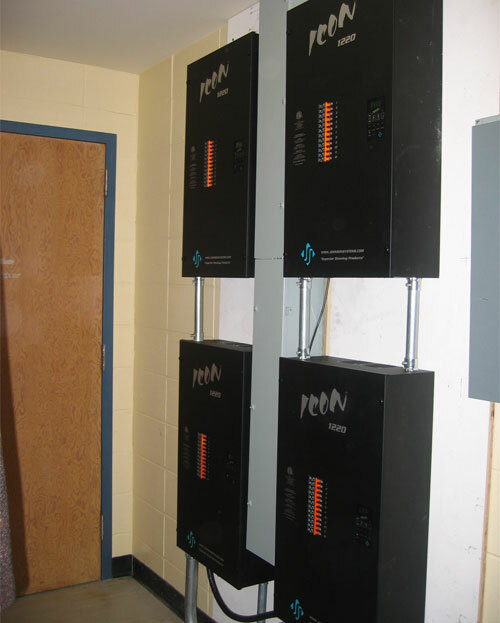 Schools containing existing Strand CD80 or Electro Controls Quad dimmer racks were retrofitted with CD-2000 or QD-2000 control systems and supplemented as necessary with additional JS-ICON dimmers. Stage Manager's Panel (SMP). Typical of all high schools. 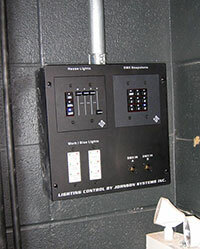 Booth Control Panel. Typical of all high schools. Typical upgraded system with retrofitted main dimmer rack and additional ICON dimming added. 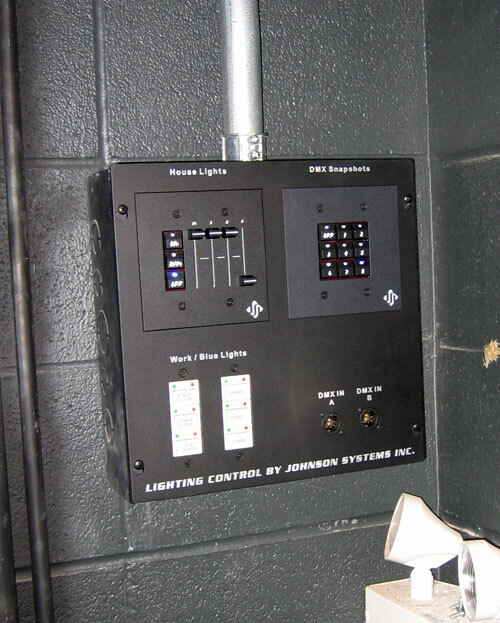 Tight space constraints and virtually silent operation allowed for 48 x 2,400W ICON dimmers to be added where a traditional dimmer rack footprint would not have fit.